This is what goes with my coffee this morning. For more corner views head on over to Jane at SpainDaily and see what she's having. Then check out these fellas.... Happy Wednesday! 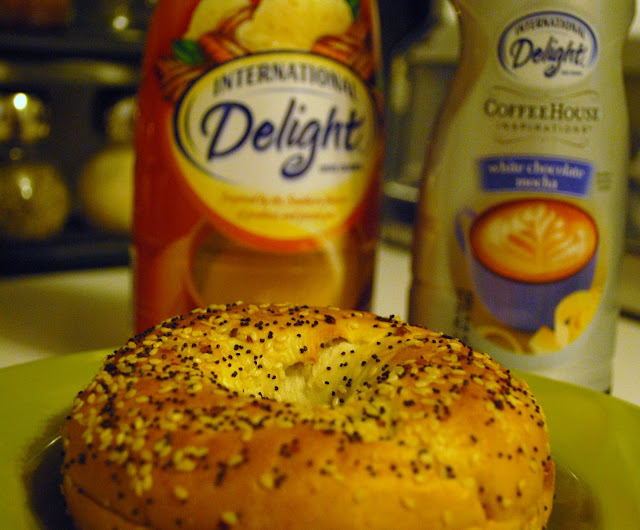 oe, a bagel in the morning, yes! Mmm bagels !!! muy typico !!!! Oh I love a good bagel. Now I want to go out and buy some! Oooh, bagels are bad for me, I can't eat just one (or two!!). This one looks delicious! That bagel is making me hungry. Yummy! I never eat bagels unless I'm in NYC. I don't know why. All I need is a big slab of cream cheese so spread over that bagel and I would be good to go! Those are the best bagels - everything.